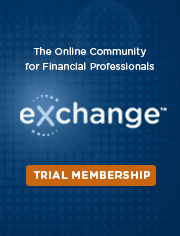 ClientWise provides a wide array of services that can help most everyone in the financial services industry from solo practitioners to highly evolved and complex teams. Ray’s ability to tailor and customize the resources he and his firm deliver make ClientWise an organization that should be considered whenever you need to turn to an external resource. For the last year and a half, the results from my ClientWise coaching engagement have been very quantifiable and good. In 2010, I brought in $30 million in new assets. So far, through the beginning of May, I’m close to bringing in $10 million in new assets. Last year, I was up by 25 percent over 2009 and this year, I’m up 145 percent over this time in 2010. It's easy for some people in a position to coach to instead believe that they have the secret sauce and that if advisors follow what they say, success will follow. But that doesn't work -- there is no secret sauce. Every advisor has their own strengths that a true coach can bring out. ClientWise is very well set up to help advisors work through their own challenges without imposing solutions. Ray and the other coaches understand how to be coaches how to help our leaders become better leaders. That's an important combination -- the knowledge and expertise in the industry and the knowledge of coaching sets ClientWise apart. The benefits of working with ClientWise in a coaching relationship are incredible. We had our best year ever this year in terms of acquisition of new clients based on referrals through the ClientWise Professional Advocate Program™. 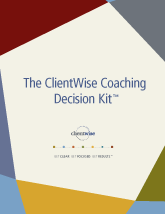 What’s so great about Ray and ClientWise is that individual coaching is tailored to what each advisor needs. Also, Clientwise knows the industry, which is a huge benefit for me in my coaching partnership with Ray. I get the benefit of Ray’s enormous amount of industry knowledge and resources.